MoreMaineSchoolsSwitchtoNaturalGas - Summit Utilities Inc. Math and science are popular subjects these days at the Laura E. Richards School, Gardiner Regional Middle School and Gardiner Area High School, not only in the classroom but also in the boiler room. This year, with help from Summit Natural Gas of Maine, all three schools converted to natural gas, a decision that is going to add up to big savings this winter. Jon Stonier, facilities and operations director for Maine School Administrative District 11 (MSAD 11) is excited about seeing the first full year of savings from natural gas. Last spring, the Laura E. Richards School was the first of the three schools in the city that made the conversion to natural gas. “Switching to natural gas has been great. At the end of last winter we made the switch and it made a noticeable difference in our heating costs. At the middle school, specifically, we are able to run our heat on just one natural gas boiler; with oil we had to use both boilers. With all three schools now running on natural gas, the savings will really add up,” said Stonier. The Gardiner Area High School and Gardiner Regional Middle School, both part of MSAD 11, have converted their equipment to use natural gas as their primary heating source this winter. 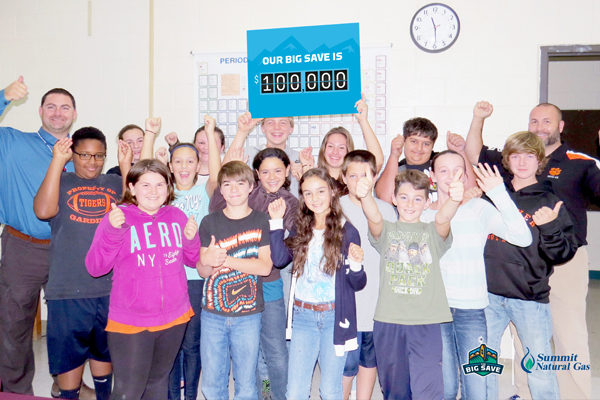 State aid allocated to MSAD 11 completely covered the expense to convert one boiler at each school, and it has been estimated that the school unit will save more than $104,000 in the first year of operation and at least $100,000 annually. The thing I am most excited about is that this provides our schools with a safe and affordable fuel for generations to come. This decision to convert to natural gas was much more than just crunching the numbers. When you add up the savings, it will be the students who will ultimately benefit because we can invest more in our great teachers, new technology, school supplies and other improvements to enhance the quality of education at our schools. The students and community will be the big winners,” said Andrea Disch, business manager, MSAD 11.